A land-use study that recommended selling three parcels in Medford Square to private developers for housing, retail and professional offices could be back on the front burner under the administration of Mayor Stephanie Muccini Burke. Add Medford to the list of inner-ring Boston suburbs where development is starting to spike. But where some officials and residents see corporate greed and overbuilding, the city’s first new mayor in 28 years thinks it’s time for Medford to embrace the 21st-century model of dense, mixed-use and transit-oriented development. And it could start right outside her office window. The view from city hall, currently surrounded by surface parking lots, could be replaced with that of multi-story housing, retail shops, professional offices and a 4-story parking garage. That was a central recommendation in a 2006 land-use study by MIT’s department of urban studies and planning. It suggested the city sell three parking lot parcels totaling 3.6 acres on the eastern end of Medford Square to private developers. The report, completed just as the real estate market was collapsing, was never acted upon under the previous administration of longtime Mayor Michael McGlynn. But Burke says it’s the type of plan that shouldn’t sit on the shelf as Boston suburbs reinvent themselves to lessen their auto-dependence. The MIT study will serve as a jumping-off point for a new Medford Square land-use study, just begun by the Metropolitan Area Planning Council. The Medford Square and Mystic River land-use study said the three properties could support up to 229 multifamily units and nearly 88,000 square feet of retail space. It also recommended Clippership Drive, a main road that loops along the southern end of the downtown, be realigned to make space for a 1.5-acre park for markets and festivals. And it called for new traffic patterns and improved pedestrian and bicycle connections. 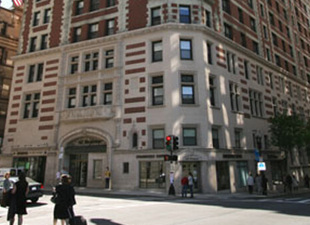 Harold Brown, CEO of Boston-based Hamilton Co., developed a 60-unit apartment building above retail space at 65 Riverside Ave. in the 1970s. Brown said the multifamily market in Medford is strengthening, with 1-bedrooms rents at his property approaching $2,100 a month. Developers are paying close attention to once working-class communities such as Malden and Medford as the next good opportunities to build multifamily and mixed-use projects at lower costs than Boston. Neighboring Malden is selling its own city hall and police station to Jefferson Apartment Group for a 3.4-acre mixed-use development including 325 apartments across from its MBTA Orange Line station. A busy multifamily development pipeline has emerged in Malden Center and Somerville’s Assembly Square, where Federal Realty is building a 700,000-square-foot office complex for Partners HealthCare. Financially, the numbers in the suburbs are attractive for developers. Stick-built non-union projects cost approximately $200 per foot to build in the suburbs, D’Amato estimated, offering better returns on investment than Boston with its expensive land and labor costs. Suburbs north of Boston have seen strong apartment rent growth, with rents topping $3.41 per foot at complexes such as 480 Main St. in Malden. Lumiere, a 163-unit complex completed in 2014 on Mystic Valley Parkway in Medford, recently sold for $66.8 million, or $410,000 per unit. And a report by CBRE Econometric Advisors forecast rent growth of 3.6 percent in the Mystic River North submarket for the next few years. Newton-based National Development demonstrated one model of transit-oriented development in the previous decade, when it convinced the city of Medford to rezone a failed office park for the 16-acre Station Landing development including 650 condos and apartments next to the MBTA’s Wellington Station. This year, apartment developer Equity One found a swift path to approval for its 490-unit apartment complex at the former Shaw’s Supermarket property across from the Meadow Glen Mall. Despite opposition from neighborhood residents and some city councilors, the zoning board of appeals approved the project, calling it “eminently compatible with the surrounding neighborhood” and an “ideal location for a mixed-use redevelopment.” The plans included 754 parking spaces. Burke supported the project, noting that uses such as self-storage and manufacturing could be built on the vacant Shaw’s Supermarket by right under the current industrial zoning. “We’re trying to change the look of Locust Street and not go back to what it looked like when it was just junkyards,” she said. But she agreed to transfer $20,000 to the city council’s legal budget, arguing that the board had a right to challenge the project. Another developer, David Burns of Lexington-based DEBCO Properties, had less luck in his bid to build a 30-unit apartment complex on the site of an auto body shop. Burns proposed 33 parking spaces and 70 bicycle spots at the site, which is less than a block from the West Medford MBTA commuter rail station. The board denied Burns’ proposal, citing the height of the 4-story building at 7 Canal St. and 93 percent lot coverage, but encouraged him to resubmit a smaller proposal. Burns said he expects to refile within two months. The two projects highlight the need for Medford to update its 1960s-era zoning, said Doug Carr, a member of the city’s historic commission and a principal at Cube 3 Studio architects in Lawrence. Most of the current developments require variances, putting excessive power in the hands of the zoning board of appeals, Carr said.